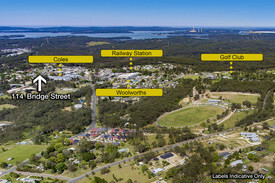 51 Commercial Real Estate & Properties in Morisset are listed in 7 categories. We have 22 Industrial Warehouses Sale & Lease , 18 Development LandsSale & Lease , 6 Retail ShopsSale & Lease , 2 Other Commercial PropertiesSale & Lease , 2 ShowroomsSale & Lease and 1 Hotels and LeisureSale & Lease . Vibrant location between Woolworths, Coles Waratah medical centre 2 minutes walk to railway station Ultra modern virtually new complex Rear lane access to ample customer private parking Ground floor are 101sqm, open plan layout 3 consulting rooms, document storage room, reception area Ducted air conditioning plus kitchen facilities Extensive glass, excellent natural light, views Adjoining tenancies include: Pacific Smiles Group, Acumon Accountants and Business Advisors Ideal Medical/Offices/Consulting. Disclaimer: Every precaution has been taken to establish accuracy of the above information but does not constitute any representation by the owner or agent. Information is gathered from sources we believe to be reliable; we cannot guarantee its accuracy and interested persons should rely on their own enquiries. 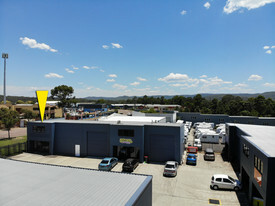 The Morisset Bulky Goods Centre is perfectly located adjacent to the M1 Sydney Newcastle Motorway and the massive growth of residential catchment in the region. 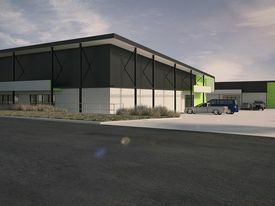 The industrial and bulky goods retail platform is already well established in the estate with businesses such as Bunnings, Home Hardware, KFC, Tyrepower, Parsons and Husqvana plus many others taking advantage of this growing area. Our owners are looking for a National Anchor Tenant for the front unit, and will make generous contributions or rent free incentives for the right business on a long term lease. Please contact me, Ty Blanch, for a full set of plans and the price list for the (3) available units, and I will provide an information memorandum with further details on the property and this opportunity in an amazing and fast growing area! Land Area; Approx 7,158m² Old four bedroom residence Large shed and outbuildings Contact Peter for an inspection today Disclaimer: Every precaution has been taken to establish accuracy of the above information but does not constitute any representation by the owner or agent. Information is gathered from sources we believe to be reliable; we cannot guarantee its accuracy and interested persons should rely on their own enquiries. Situated in Morisseet Business Park Well built modernconstruction Easy access to M1, town centre rail Area: 420sqm + 150sqm mezzanine Disclaimer: Every precaution has been taken to establish accuracy of the above information but does not constitute any representation by the owner or agent. Information is gathered from sources we believe to be reliable; we cannot guarantee its accuracy and interested persons should rely on their own enquiries. 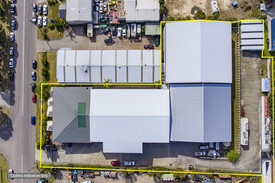 This is an exciting opportunity to Lease an outstanding industrial complex in the centre of Morisset's Industrial Estate. Key attributes of the site include: 5,856 sqm of land area 3,024 sqm of building area 2 warehouses, office / reception / boardroom / 2 bedroom apartment 10 tonne travelling crane Huge external parking and hardstand area 2 minutes to M1 Freeway approximate For further information, please contact: Peter MacIntyre M 0404 885 411 E peter.macintyre@raywhite.com Disclaimer: Every precaution has been taken to establish accuracy of the above information but does not constitute any representation by the owner or agent. Information is gathered from sources we believe to be reliable; we cannot guarantee its accuracy and interested persons should rely on their own enquiries. Anchored by Coles and Target, Morisset Square Shopping Centre offers the perfect mix of convenience and services in the heart of Morisset. Retail space is now leasing at Morisset Square Shopping Centre. 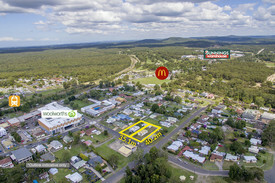 Prime location... Morisset Square Shopping Centre is conveniently located on Yambo Street in Morisset. Driving to the centre is easy, with 278 car spaces available. 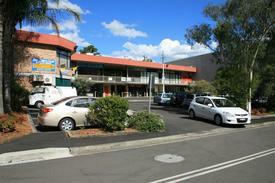 The centre is also a short walk from Morisset train station. In good company.... When you lease space in Morisset Square Shopping Centre you can do it knowing that you will be in good company. 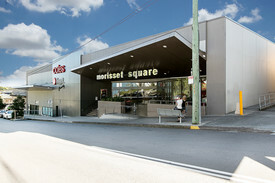 Morisset Square Shopping Centre is a neighbourhood centre anchored by Coles, Target Country and The Reject Shop along with 23 specialty stores including Priceline Pharmacy, Specsavers, Rockmans and Flight Centre. Current Availability: MS3 180m² ($90,000 +GST) Bare shell (suitable for food, health and beauty usages) Suite 8 135m² ($25,500 +GST) Warm shell, X5 office rooms, kitchenette, access to toilets and includes office furniture Contact Agent for Information Memorandum or Inspection. Disclaimer: Every precaution has been taken to establish accuracy of the above information but does not constitute any representation by the owner or agent. Information is gathered from sources we believe to be reliable; we cannot guarantee its accuracy and interested persons should rely on their own enquiries. 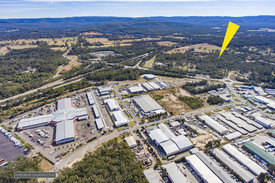 The Gateway Business Centre is the future heart and hotspot of the Morisset Business Park one of the fastest and most rapidly emerging industrial centres able to service Sydney, Central Coast, Newcastle and the Hunter Valley and the demanding local residential growth. The Gateway Business Centre is the logical choice for any astute enterprise operator. With high traffic flow and surrounded by already proven and established reputable businesses, national and international outlets coupled with a combination of style, functionality and flexibility make it one of the Central Coast's and Hunter's most highly sought after locations. Parking galore with easy access wide turning circle Front rear roller door access for additional air flow light. Large roller door access 5m high x 4.5m wide Ideal caravan and boat storage facilities. Able to easily store two caravans Rear roller door access 2.5m high x 2.4m wide Great access for unit sizes unlike many other units developments Louvre windows for light and ventilation both sides High roof space 6.5m 8m high to accommodate mezzanines Ample car parking Rear lane access from Alliance Avenue Internal walls fully lined both sides LED high bay lighting Unisex disabled compliant toilet and shower facilities Kitchenettes Insulated roof Skylights for natural lighting no need for lighting during daylight hours Secure personal access doors with vandal lighting on PE cells Automatic sliding access gate with keypad access (remote access available) and security fencing Architectural cladding and half round guttering. Contact Peter today to arrange an inspection. Disclaimer: Every precaution has been taken to establish accuracy of the above information but does not constitute any representation by the owner or agent. Information is gathered from sources we believe to be reliable; we cannot guarantee its accuracy and interested persons should rely on their own enquiries. Perfect Location $414 p/w (Includes O/G) ..
Would suit medical, accountant or solicitor. 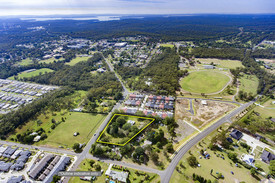 Close to schools, shops and major railway. Minutes drive from the M1 Morisset exit. Four rooms, timber floors throughout. Recently renovated kitchen and bathroom with separate toilet. Approximately 112m² floor space. Golden opportunity to upgrade your business in strong growth area. Lease: $414 p/w + GST including outgoings Disclaimer: Every precaution has been taken to establish accuracy of the above information but does not constitute any representation by the owner or agent. Information is gathered from sources we believe to be reliable; we cannot guarantee its accuracy and interested persons should rely on their own enquiries.